Watch a larger version. Requires QuickTime. 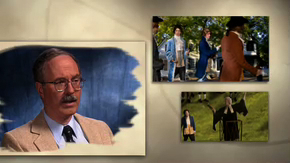 Learn about the lives of the men and women involved in the Great Awakening. Read articles written by historians about the Great Awakening. Read several of the famous sermons from the Great Awakening. Read the context of quotations from sermons and documents in the DVD. © 2009 Bob Jones University.